Born in Oslo, Norway in 1976, Camilla Løw studied sculpture at Glasgow School of Art and has exhibited widely both in the UK and internationally. She is currently based in Oslo. Sculptures that lean, hang or stand in space; industrial materials, solid colour, geometric forms. 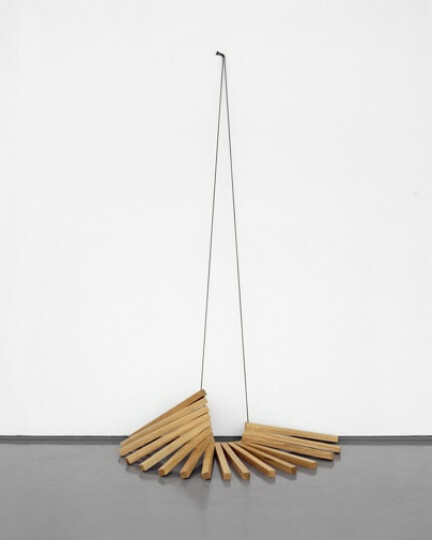 Løw's works have drawn comparisons to modernism, minimalism and constructivism, and have prompted references to artists as diverse as Wassily Kandinsky, Anthony Caro, and Henry Moore. Løw’s materials – perspex, concrete, pre-cut wood, metal – bear the evidence of being crafted by hand; saw marks and brushstrokes are visible on close inspection. Despite their precision and geometry, there is something very human about these works.